The first map which covers central Phnom Penh is available, in draft format, for you to download and try out. Please go to our site (www.ka-tours.org) to download the front and back pages, print them yourself back-to-back – to save paper – then fold in three for a handy, full-of-info guide to some of the most interesting streets in central Phnom Penh. The map is free for personal use; copying for commercial use only with our permission. Our next step is to link up with selected cyclo drivers who know the route; more on this later. And thanks to Tobias Olsson, now back in Stockholm, for all the foot-slogging and pedal-turning research. • The well-known ’100 Houses’ development, designed by Vann Molyvann and commissioned in the 1965 by the National Bank of Cambodia for its staff; these 100 or so identical houses are a thoughtful reinterpretation of the traditional Khmer house – some are still (just) in their original state. • A Doctors’ House: A remarkable villa of the same period which has an exuberant, three-storey high entrance hall which dominates the design; now a Health Centre. • The Split House: A family villa – a rich blend of materials, form, light and air which creates a delightful residence. There will be morning and afternoon tours, guided by architecture students Suon Ratana and Sim Sitho. 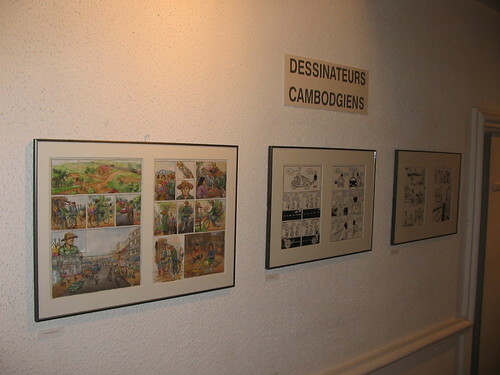 The tours are available in English and Khmer; please indicate which you prefer. Cost: Cambodians: $1. Others: $8. As usual, booking is essential. Children over 12 are welcome. Please contact us by replying to this email (contact@ka-tours.org) with your request for places; please don’t forget to include names and mobile telephone numbers and which tour you would like, otherwise we can’t accept the booking. We will email you back with joining details and contact numbers for the guides. Please reply with ‘remove’ in the subject if you want to be taken off our email list. Sovanna Phum, the only organization presenting professional performances every week is facing a grave funding crisis. 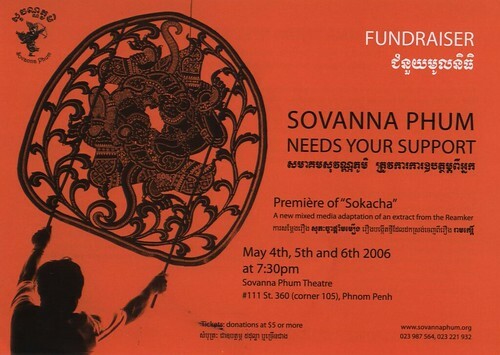 An exceptional 3-day fundraiser (May 4th, 5th and 6th 2006) will happen at 7:30pm in the Sovanna Phum theatre comprising the première of “Sokacha”, a new mixed media adaptation of an extract from the Reamker and a sale of shadow puppets at 5% discount. Admission will be by donations of $5 or more. It is also possible to support Sovanna Phum visiting our Gallery to buy shadow puppets, masks, music instruments made by our artists. Sovanna Phum hopes to raise $12,450 from this fundraiser, which will cover costs for the next three months while we seek for long-term funding. To raise funds to cover this short term crisis Sovanna Phum is calling for support from Embassies, local and international Organizations, private sector and everyone who like and believe in Khmer culture, helping the Association to pursue its activities. 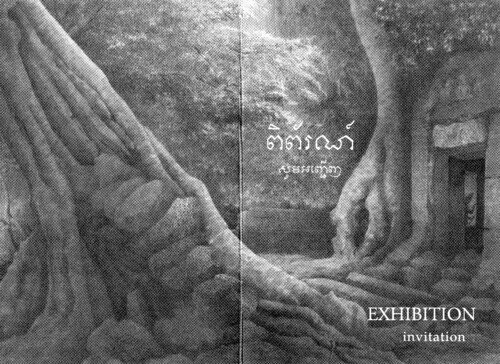 For more than 10 years, passion and enthusiasm from both the staff and the artists of Sovanna Phum (120 professional artists, mainly students and graduates from the Royal University of Fine Arts) has led to Sovanna Phum being an internationally known centre for the performing arts and a centre for creation and presentation in Cambodia. Sovanna Phum is also well known to lead some awareness campaigns within development projects. However, Sovanna Phum depends on funding for individual projects and has no core funding to support the venue. Sovanna Phum’s aims are to enable professional Cambodian artists to make a living from their art, through regular performances; to nurture, preserve and promote the treasures of Khmer culture to local and international audiences; and to organize awareness and prevention campaigns linked to the development of Cambodia (health, education, environment, human rights and democracy) through mobile traditional performances spreading educational messages. 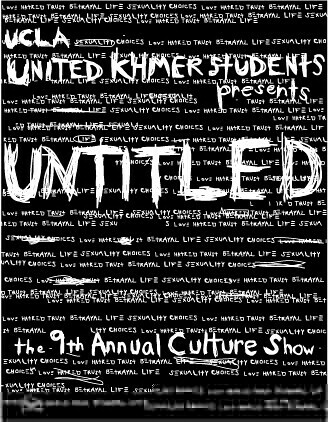 UCLA United Khmer Students Presents “Untitled” – the 9th annual Culture Show. 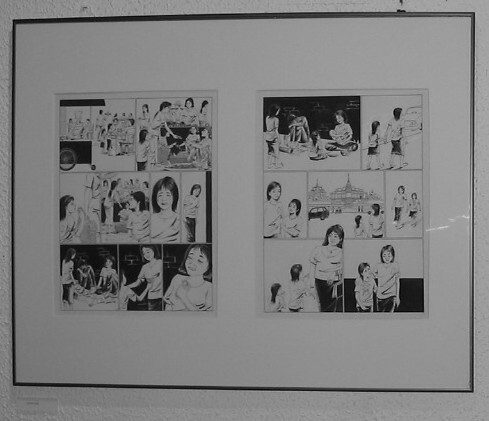 Cambodian comic artists got their day in the (Mediterranean) sun, as part of exhibition BD À BASTIA. 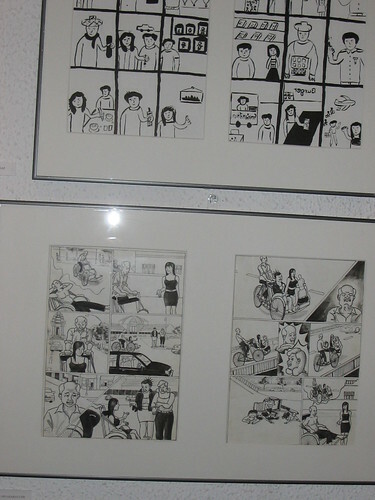 : March 30, 31, April 1 and 2. 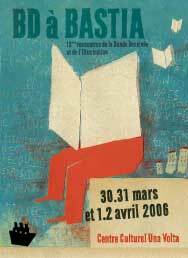 Click for event poster, site,or press. 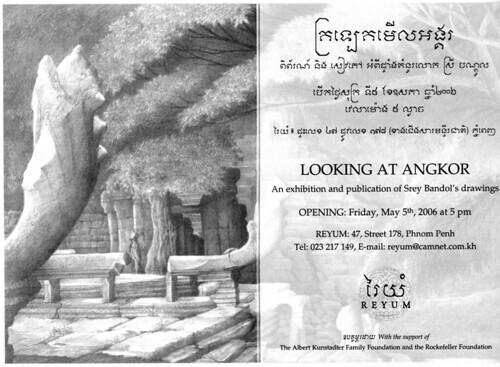 You are currently browsing the Sang Salapak Building Arts blog archives for April, 2006.